Dear opponent: I like your ___. 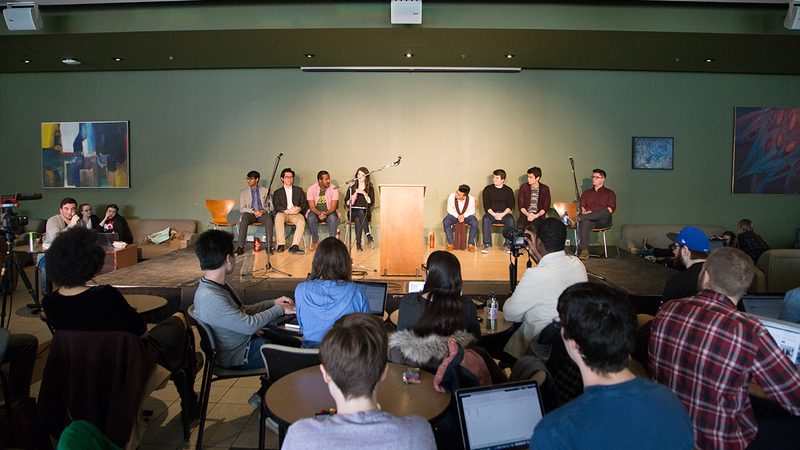 The presidential candidates were forced to compliment each other at the SUB Stage forum. 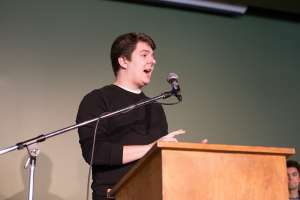 During open question period, Jordan Simao, who ran for Vice-President (Student Life) last year, reminded students that the Students’ Union President will represent the university to “the world” and asked candidates Marina Banister, current Vice-President (Academic), and Bashir Mohamed to state two qualities that the other candidate possesses that they don’t have. Both candidates started off by talking about their common ground, both being in the same year of Political Science and both having been elected to Students’ Council in 2013. Banister complimented Mohamed’s ability to debate on social media and said his experience living abroad last year will help him relate to other students on campus. Mohamed commended Banister for sticking with the Students’ Union and “trying to change it from the inside,” as he said he became frustrated by the university’s bureaucracy and quit Students’ Council during his second year as a councillor. In the debate portion of the forum, the two candidates discussed how they’d manage time if elected president. Mohamed’s said he’d like to work with high school students to create students’ unions in high schools, however Banister questioned whether that would be an effective use of time. Mohamed replied that the Students’ Union shouldn’t just be thinking of current university students, but also future students — especially those who are marginalized and might not think that a university education is attainable. 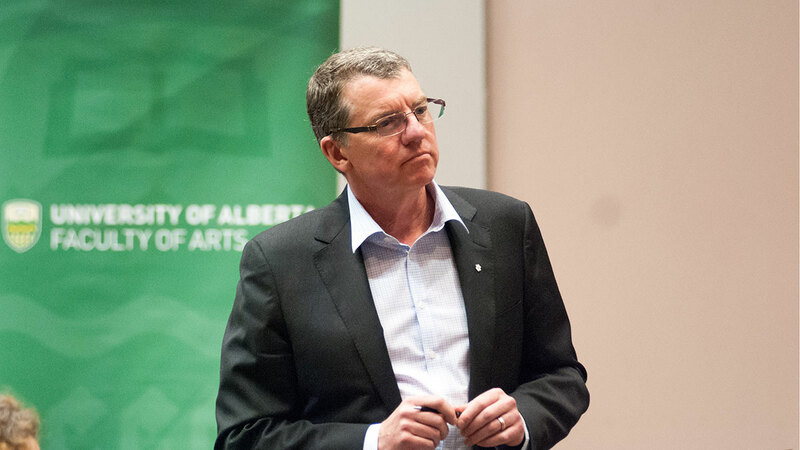 Banister rebutted that as President, she would make University of Alberta students her priority. The pair also debated how to make the Students’ Union more inclusive. Banister said she will continue to meet with diverse students to ask them for feedback on the Students’ Union. In contrast, Mohamed said the way the Students’ Union operates needs to be changed fundamentally and argued that the Students’ Union only engages students during elections. By focusing on more advocacy and political issues, Mohamed argued he could increase student engagement. 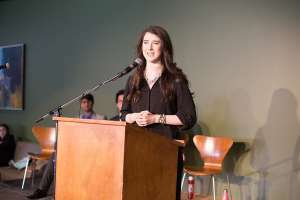 During open question period, student Claire Edwards pointed out that there are only a few women running for executive positions and asked how candidates would improve female representation and other marginalized groups. Banister cited Navneet Khinda, Students’ Union President of 2015-16, as a role model for her in the Students’ Union and said there needs to be more women to look up to. Mohamed said that students “need to change what it means to be an ideal candidate.” He explained that it’s expected for candidates to have experience as a Vice-President to become President, but those positions are predominantly male. At the end of the forum, the candidates if they’d ever personally applied for financial aid to continue their degree. Banister said she’s never had to apply for aid, but has worked throughout her degree. She said she understands the stress students face paying for school, especially international students. She said she will push for the Jason Lang scholarship to be available for international students. Mohamed said he thinks that as a low-income student, who has previously been denied low-income status, the financial aid system is broken. Current Vice-President (Operations and Finance) Robyn Paches returned to the stage to ask students to give him a second year. 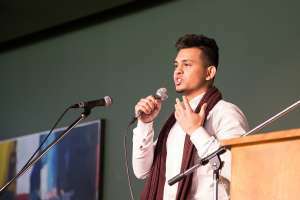 Having served nine months in the role, Paches spent more time explaining what the Students’ Union provides in terms of services, as well as its ability to generate alternate revenue for the organization. “Instead of making cuts and encroach on our mission statement of providing student employment opportunities, I want to bring students back to campus,” Paches said. According to Paches, the Students’ Union’s current portfolio is operating at a 17 per cent profit margin. 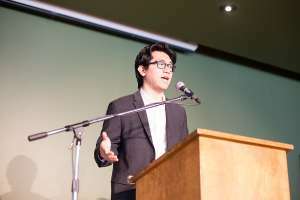 Chen Liang, the only other candidate for VP (Operations and Finance) was unable to attend the forum, and missed the Peter Lougheed Leadership College forum Tuesday night. Liang expressed his regrets online, but explained that he’s been in Montreal for an engineering case competition, which he was preparing for in October. Paches, unable to debate his opponent, answered questions from the public. When asked what the cost and benefits of the Myer Horowitz Theatre renovation are, he explained that since the budget for the project and the basic schematic design has been approved, he wants to use his second term to consult students on how to use the theatre. Vice-President (Student Life) candidates Rabib Alam, Kyle Monda, and Ilya Ushakov told the SUBStage forum about their approaches to sexual assault, engaging women with governance, and what their plans were to support student groups. 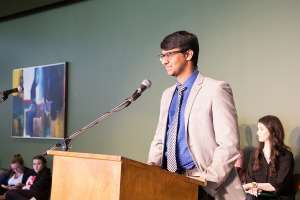 Alam challenged his fellow candidates to name three platform points that relate to consent education and sexual assault. Ushakov responded that he’d advertise the Sexual Assault Centre during Week of Welcome and work with Students’ Union staff to deepen consent education. Monda, a current Arts councillor, said he’d take a more policy-driven route by working on the upcoming sexual assault policy. 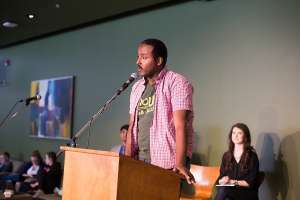 Alam answered his own question by praising how Campus Saint-Jean lectures 50 per cent of their first-years on consent, and said he’d work to bring sexual assault centres to the French campus as well as Augustana. 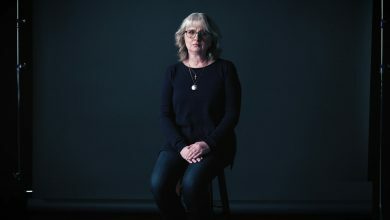 “(Campus Saint-Jean and Augustana) don’t have these sexual assault centres, and that’s not okay,” Alam said. 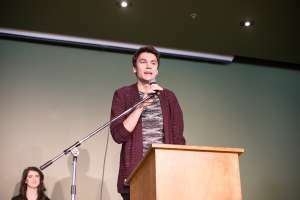 When audience member Claire Edwards challenged all candidates on how they’d involve women in governance, Alam said he’d support women on his campaign, who “95 per cent” of his team, to run for future Students’ Council and executive positions. Monda said he wants to make sure there is more outreach to explore why people in other organizations aren’t running. Ushakov said he’d work with student groups and the Students’ Union’s advocacy department to engage people, but did not address the issue of women in governance specifically. Ushakov’s main focus during the forum was focusing on engaging student groups by expanding Week of Welcome, and told the forum that he aimed to work with a panel to create a large annual event surrounding a student group and to make Student Group Services’ services more widely-known. Alam said he’d opt for more club fairs, getting groups their support. Monda took a different approach to student group services, and said he’d advocate for a replacement for the Bears’ Den student group system. 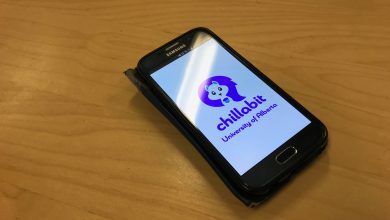 “Right now, it’s neither serving students who want to discover new student groups, or making the lives of executives easier who have to spend a lot of time using its dysfunctional system to submit paperwork for their events,” Monda said. “If we don’t vote ‘Yes’ for the U-Pass, we actually won’t have a U-Pass next year,” Rahman said. Rahman reiterated his three points of citing affordability, convenience, continuing expansion of transit services around Edmonton. 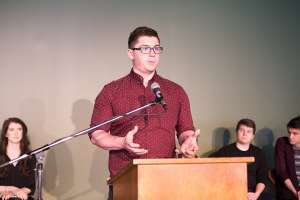 He also commented on the lack of a “No” side in the campaign when an audience member asked everyone on stage about their efforts to connect with students. “My assumption is that quite a few students are supportive of the U-Pass as it stands right now,” Rahman said. Another question was directed towards Rahman when Open Studies Councillor Levi Flaman asked why the U-Pass campaign is making the Metro LRT line expansion one of its main selling points. 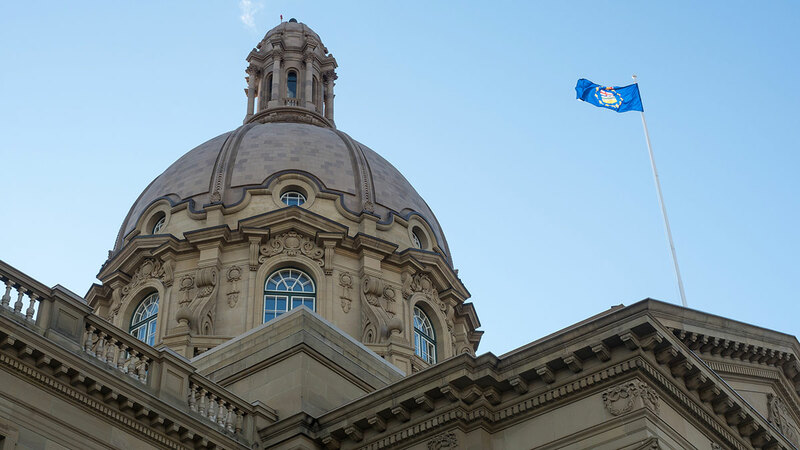 Rahman responded by acknowledging the problems of the LRT expansion, but cited the new line to NAIT and MacEwan University as a positive for Edmonton’s post-secondary students. “I admit that it may not benefit U of A students as much, but I am hopeful that we continue to see the expansion of the LRT in a better manner,” Rahman said. Campus Food Bank “Yes” side Heinrich Piodos said his organization is currently working on a Students’ Union grant. The food bank wants to replace this lump-sum grant with a $1 per semesterly fee to allow the organization to move into a sustainable budget model. The funding would be used to fund infrastructure, supplies, and equipment. Piodos told the forum that the food bank currently feeds 2,500 students, staff, and alumni on campus.